Boston’s “Dean of Talk Radio,” Jerry Williams challenged politicians, debated controversial guests and provided listeners with a new way to look at the issues. Jerry Williams introduced Boston to controversial telephone talk. 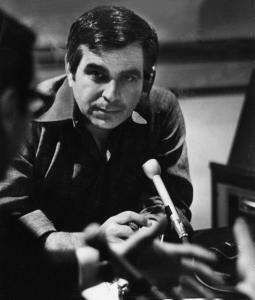 A few others preceded him as talk hosts in Massachusetts, but he was the first person in the area to put the voices of telephone callers on the air as a regular element of a radio program, five years before it caught on elsewhere, ten years before it became common on the air, and fifteen years before talk radio became a national format.